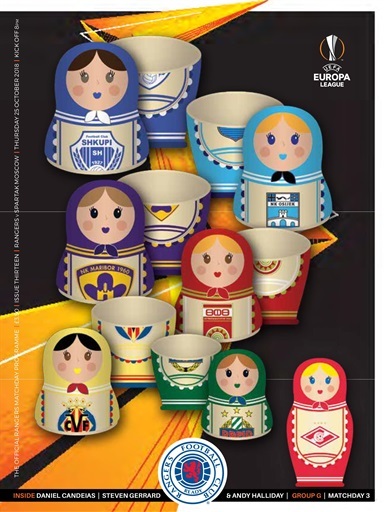 Tonight's Europa League Group G Matchday 3 programme features an exclusive interview with Daniel Candeias, as well as Steven Gerrard's pre-match notes and James Tavernier's captain's column. Regular features include: Where Are They Know? Kenny Blackl, They Played at Ibrox, David Mason, Classic Kits and Getting To Know You with Ross McCrorie.